Before we fully embrace all the perks of fall and watch the leaves color the streets in shades of red and yellow – we want to bring spring to you one more time. Let us invite you to a beautiful park in Amsterdam. 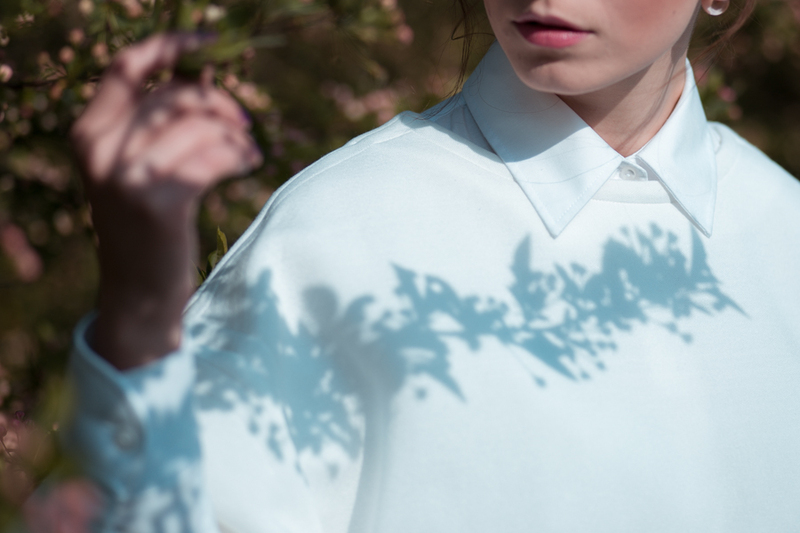 Be surrounded by cherry blossoms dressing the trees in a breathtaking pink and white gown. 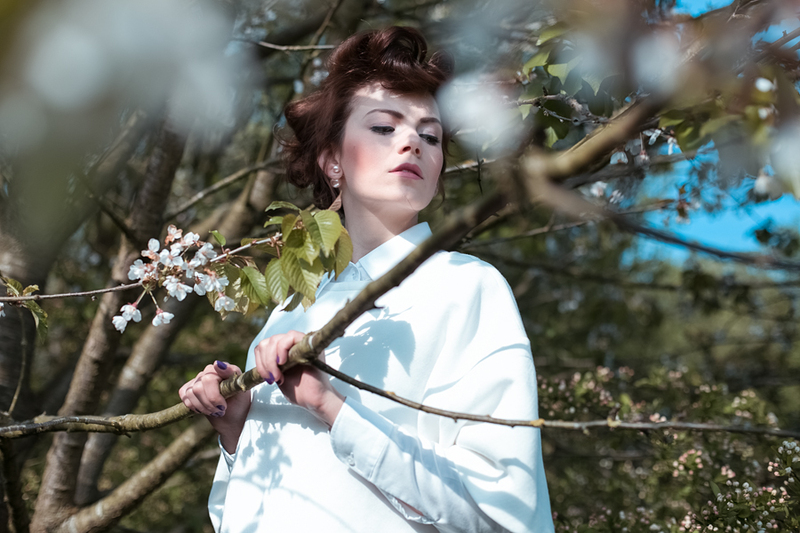 In the middle of this incredible blossom-wonderland we did the “Blossom me” shoot for theModeCode, an international column in fashion and lifestyle, with model and stylist Rebeka Kadlicsek. Between green leaves and tree branches, blossoming flowers and the sun kissed grass Rebeka is moving like a blossom blowing in the wind. The rather lose hair up-do resembles the structure of a flower while her clothes are more of a geometrical kind. While the skirt is designed by our stylist herself, the handbag, black and beige with an eye catching neon green touch, is a sponsored piece by Paul’s Boutique.